Carlos Ghosn is still languishing in a Tokyo jail cell as prosecutors continue to pile on new charges. But he may have just lost his last remaining ally in his fight to clear his name: French carmaker Renault, where he had served as CEO up until his arrest. 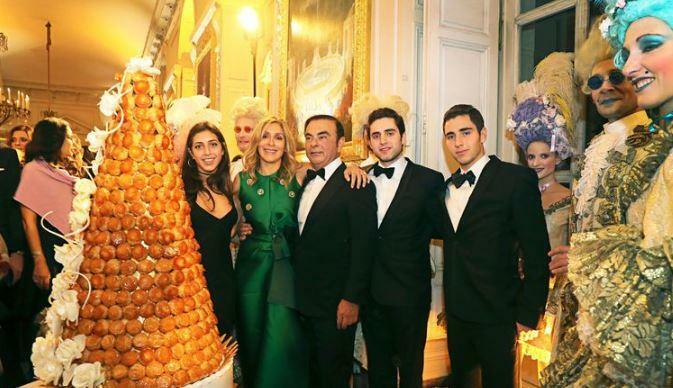 According to the Wall Street Journal, Renault has reportedly uncovered evidence that Ghosn may have misused company funds to finance a lavish party at the Palace of Versailles to celebrate his second marriage (and the birthday of his new wife). The internal report suggested that Ghosn may have benefited from a €50,000 ($57,000) payment made the palace by Renault under a sponsorship agreement. The company is reportedly investigating whether the money was used to pay for the private party, which took place during the fall of 2016. The company has reported the payment to French authorities. According to WSJ, this is the first time Renault has notified authorities about possible misconduct committed by Ghosn since it began an internal probe into his activities following his arrest in November. The internal probe at Nissan that generated the allegations that led to Ghosn's arrest in Tokyo is ongoing as well. Tokyo prosecutors have charged Ghosn with underreporting his total comp in Nissan's financial statements over an eight year period, and with pushing Nissan to pay what some have speculated looked like a bribe or payoff to a Saudi friend who is believed to have helped him with a personal financial problem. After Ghosn's arrest, French Finance Minister Bruno Le Maire stood up for the legendary executive, saying Renault and the French government would withhold judgment until all of the facts were in.